Director Jean-Jacques Annaud adapted this true story of Austrian mountaineer Heinrich Harrer for the silver screen. The story of a journey built upon pride and ego quickly becomes one of survival, as Harrer – played by Brad Pitt – escapes imprisonment in Dehra Dun during WWII and finds his way to Tibet. During his ensuing friendship with the young Dalai Lama, Harrer schools the young leader in the ways of the West – and learns a few things about himself in the process. It takes a certain kind of director to bring Hunter S. Thompson’s stories to production and in ’98, Terry Gilliam was up for the challenge. With Johnny Depp (as journalist Raoul Duke) in the lead and Benicio Del Toro (Dr. Gonzo) by his side, the wackadoo dream team brought Thompson’s semi-autobiographical book to life. The point of the drug-fueled odyssey (aside from an article Duke is assigned)? The search for the American Dream, of course. The journey incorporates a hitchhiker, Vegas, police stops, and general hooliganism. Ultimately, Duke finishes his article. But has he found himself? Who knows – he was high the whole time. The Coen Brothers are, quite simply, brilliant. The geniuses behind such greats as “Fargo,” “Raising Arizona,” and “The Big Lebowski” set Homer’s The Odyssey in 1930s deep South. The search seems simple enough: Three escaped convicts, Everett Ulysses McGill, Delmar, and Pete, are seeking buried treasure and along the way encounter sirens, a blind prophet, and more. The loot they seek signifies all that matters to them: freedom. And ultimately, isn’t that what all men really want? Quite possibly the most epic of all epics, Peter Jackson’s adaptation of J. R. R. Tolkien’s classic, The Fellowship of the Ring, follows hobbit Frodo Baggins and his band of misfit companions to Middle Earth in search of the one way to destroy – you guessed it – the Ring. When Frodo sets out from his humble Shire, he is naïve, innocent, a boy really. His journey has a very specific goal but along the way he finds much more than he’s looking for – namely, courage. This first film in Peter Jackson’s trilogy won four Oscars. From fantastical to political… Before we knew him as Che Guevara, he told us in his Notas de Viaje, Ernesto Guevara de la Serna was a medical student from Buenos Aires. Prior to his graduation, the young man – played by Gael García Bernal – takes a year off to explore the continent he calls home, and ultimately lands working in a leper colony in Peru. Guevara was irrevocably transformed during this trip and his time in Peru, as he saw the drastic division and injustice between classes. Here was born the Revolutionary, Che Guevara. When Justin Quayle’s (Ralph Fiennes) wife, Tessa (Rachel Weisz), is murdered in Kenya, the widower doesn’t take the facts at face value. In Fernando Meirelles’ adaptation of John le Carré’s novel, our protagonist embarks on a journey across the world to find truth, to solve a mystery, to find closure, to find peace. Weisz won an Academy Award for the film. If you’ve not seen it, you must – but it will break your heart as you accompany Justin on one of the most heartbreaking journeys of all. Humanity is facing extinction as nearly two decades of infertility continue. Chaos erupts across the world as it becomes every many for himself. In Alfonso Cuarón Orozco’s “Children of Men,” based loosely upon the novel by P.D. James, cynical ex-activist Theo (Clive Owen) agrees to acquire papers for a young black woman who is being sent to safety by an immigrants rights group. Ultimately, the journey becomes more than a simple work-for-hire, as Theo realizes his journey is one that may ultimately save humankind. As Theo continues on this heart-stopping, breathless mission, his reward is more than cash – it is restored hope in both humanity and the future. 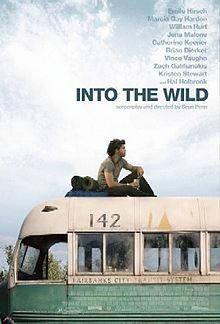 Sean Penn’s “Into the Wild,” based on the phenomenally bestselling book by Jon Krakauer, is the quintessential movie about adventure and journey and the search for one’s self. Sprawling in its cinematography (the director of Photography was also the DP for “The Motorcycle Diaries”), the film is as beautiful on the eyes as it is beautiful at its heart. As The New York Times so perfectly states, “[‘Into the Wild’ is infused with an expansive, almost giddy sense of possibility, and it communicates a pure, unaffected delight in open spaces, fresh air and bright sunshine.” And, sadly, twenty years later, we all know how this epic adventure ends. Two years prior to her transformation into Katniss Everdeen, Jennifer Lawrence was Ree. The young woman at the center of Debra Granik’s “Winter’s Bone,” based on the novel by Daniel Woodrell, is on more of a hunt than a typical journey. She’s searching for her deadbeat drug-dealing father, a man who has left her family in dire circumstances, after having put up his house as collateral for bail. As she trudges through the dirt-poor backwoods of the Ozark Mountains, Ree finds more than what she’s at first looking for: She finds herself – a provider, a savior, a woman of indelible strength. Lawrence’s performance in “Winter’s Bone” is stunning, and garnered her both an Oscar nod and a Golden Globe nod. Not bad for an actress’s fourth feature film. Arriving back at the Coen Bros, “True Grit” is the tale of fourteen-year-old Mattie Ross, played by Hailee Steinfeld. Ethan and Joel’s “True Grit” was adapted from the novel by Charles Portis. Mattie’s self-created mission is to hunt down her father’s murderer. She enlists the help of Reuben J. “Rooster” Cogburn, played by Jeff Bridges. Coming of age was never this gritty. But Hailee Ross handled the character like a pro – and out of the feature-film gate she earned herself an Oscar nomination – one of ten total nominations the movie picked up in 2011. The article mentions looking forward to the adapatations of Jack Keroacs On the Road and Cheryl Strayed's Wild. I would also add Crazy for the Storm, the memoir from Norm Ollestad that Sean Penn will soon tackle. What do you think of the list? What adaptations would you add to the list?